You are receiving this email because you have previously expressed interest in receiving updates related to the City of Fresno’s (City) Housing and Community Development efforts. If you no longer wish to receive e-mails like this, please simply reply with the word STOP to be removed from future messages. Please also consider sharing the information attached to this message with your networks, and those that may be interested in providing public comments as outlined below. Residents have an opportunity to review and comment on proposed reports and plans during public comment periods. Currently, there is a public comment opportunity regarding a Substantial Amendment to the 2018-2019 Annual Action Plan. The purpose for the Substantial Amendment is to re-allocate project savings and funding for subsequently cancelled projects as well as delayed multi-year projects to eligible Community Development Block Grant activities. The City will accept public comment through January 28, 2019. Please see the attached documents detailing the specifics of the Substantial Amendment and note this information can also be found on the City of Fresno, Development and Resource Management Department’s website. what have we done well? What can we do better? Since I was elected DNC Chair in February 2017, my North Star has been making the Democratic Party more accountable to you — empowering grassroots supporters to take full ownership of this party. This has been a truly incredible year for the Democratic Party — and so I wanted to take a moment to thank you personally. Much of that work has been around our presidential primary process — making it more transparent, fair, and inclusive. I believe that if we do that, we’ll put our party in the best possible position to take back the White House in 2020. But so much of our progress has come from you holding up your end of the bargain. We’ve asked you — a lot — to donate to support the DNC, and you’ve come through. Most people don’t know this, but the majority of the DNC’s fundraising in 2017-18 came from donors giving $200 or less. We took the historic step of reducing the influence that superdelegates have over our presidential nominating process. Now, superdelegates will refrain from voting on the first presidential nominating ballot, unless a candidate has already passed the threshold to secure the nomination. This change empowers the grassroots and respects the will of the voters. The DNC voted to expand the use of primaries so that more people can participate in the presidential nomination process. Primaries are more accessible for many voters, including seniors, shift-workers, students, members of the military, parents of young children, and people with disabilities. For states with caucuses, our reforms recommend that those states take steps to make their caucuses as accessible as possible, including offering absentee voting for voters who can’t make the caucus in person and implementing better processes for tracking ballots in case a recount is needed. We’ve announced an initial framework for presidential primary debates in 2019 and 2020, which will help maximize viewership and allow our candidates to talk about our party’s values and ideas in front of as many voters as possible. We’re including grassroots fundraising as a qualifying criterion for debate participation, in addition to other objective measures that gauge candidate support such as polling. In the event that the qualifying field of candidates requires these debates to be held over multiple nights, the lineup for each night will be determined at random, with qualifying candidates assigned one night per debate. The random selection of candidates will be done publicly. What do you think worked in 2018? What should we keep doing? What do you think we can do a better job of moving forward? Let me know what you think here — and don’t be shy, I have a pretty thick skin. Our team will go through all of your answers over the next few weeks, and your input will be really helpful as we continue to make our plans for the next two years. Thank you so much for everything you’ve done over the past two years, Jeff — with your continued support, I’m confident we can take back the White House and win up and down the ticket in the years to come. This past year we worked together to fight for California and the future of our democracy. There is no doubt that our country is at an inflection point in our history, one where we are challenged to stand together for the ideals of our nation. California continues to lead the way, thanks to your incredible leadership. While the partial government shutdown has created a lot of uncertainty for our federal employees, be certain about this, I intend to fight for our state and all our families and I’ve got your back. So as we ring in 2019 let us remain hopeful and continue America’s march toward progress. Here’s to an impactful 2019! Senator Harris has traveled up and down California throughout 2018. Over the past year, the Senator held four town halls, toured fire affected areas, visited an immigrant detention center along the US/Mexico border, toured Marine and Naval assets serving vital military interests, and met with key leaders to raise awareness for critical issues, including workforce development, gun safety, climate change, supporting our military, and fostering the leaders of tomorrow. Check out a snapshot of the Senator’s work in California in 2018. 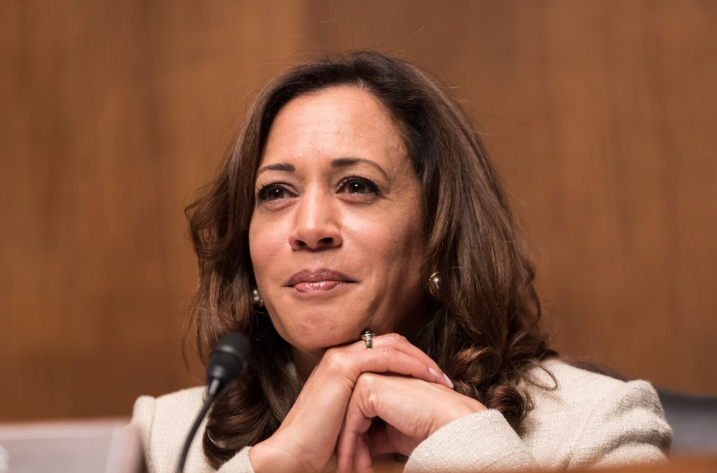 Senator Harris proudly serves, on the Homeland Security and Governmental Affairs Committee, the Select Committee on Intelligence, the Committee on the Judiciary, and the Committee on the Budget. Given these critical committee assignments Senator Harris focused on getting to the truth by creating more transparency, oversight, and accountability of the Trump Administration. 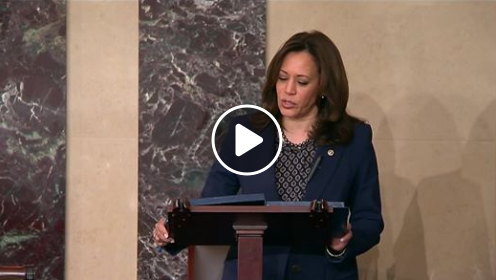 Watch Senator Harris speak out on the floor of the United States Senate against the nomination of Thomas Farr to be District Judge for the Eastern District of North Carolina. it’s a fight worth having. Taking her role on the Judiciary Committee seriously, Senator Harris has worked diligently to prevent nominations of individuals who represent direct and fundamental threats to equal justice under the law and to the ideals Californians strive towards, candidates such as, Thomas Farr and Brett Kavanaugh. Additionally, the Senator has been active in hearings to prevent senseless acts of gun violence in the future. As part of the Intelligence Committee, she pressed nominee Gina Haspel to ensure the leader of the CIA possessed a standard of morality worthy of her position. 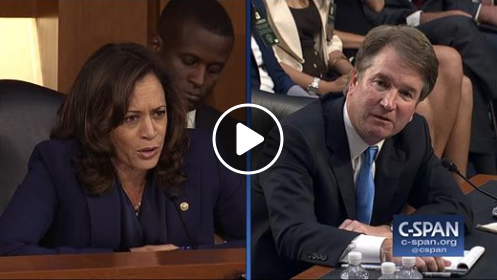 Watch Senator Harris Question Supreme Court Nominee Brett Kavanaugh. In 2018, the Senator set her sights on some of the main issues affecting Americans today. 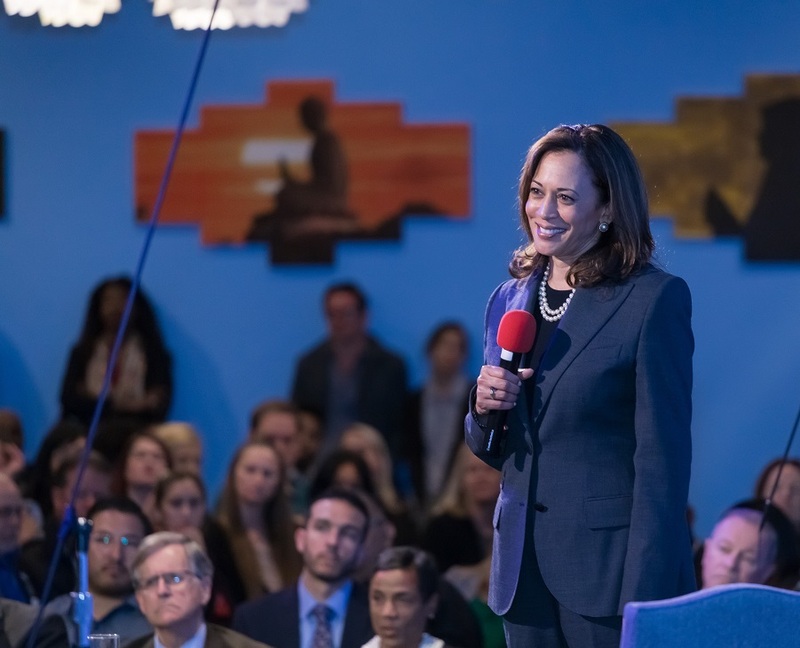 With the cost of living continuing to rise in California and across the country, Senator Harris introduced two pieces of legislation to provide support to middle and working class families, ensuring that they don’t go unseen by the current administration. For those struggling to pay their bills, The Rent Relief Act and The LIFT the Middle Class Act would provide a tax credit to put more money in the pockets of families who need it. 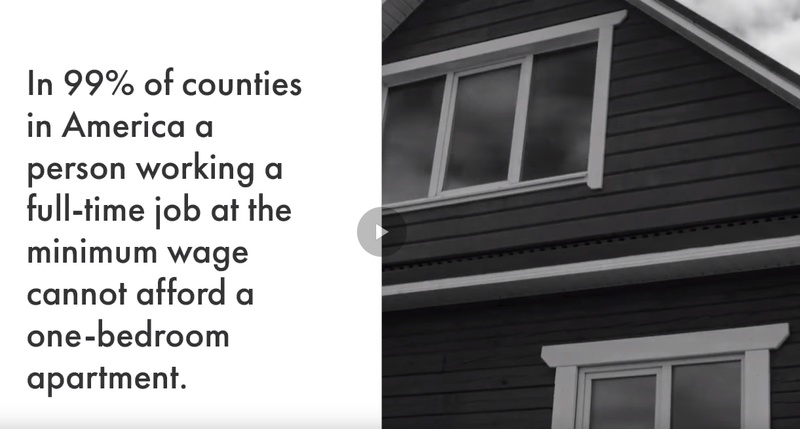 Watch Senator Harris explain America’s rent crisis. 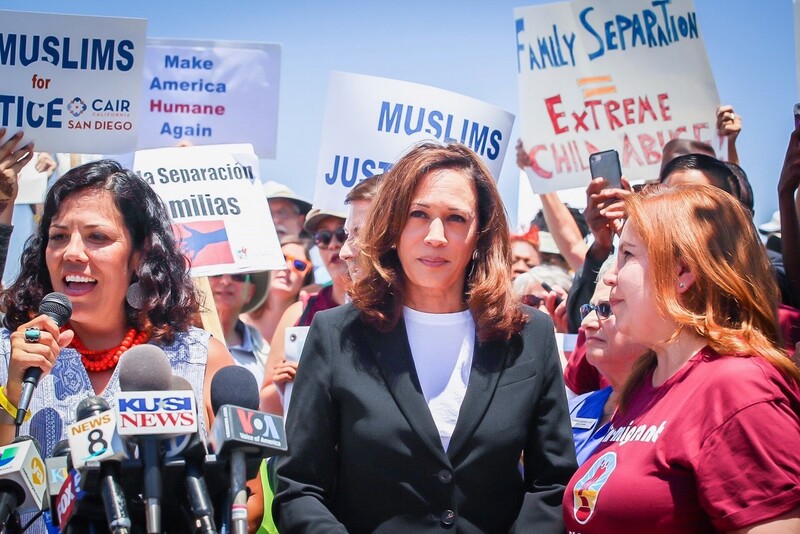 Senator Harris is closing the year the same way she started it, by fighting for humane immigration policies. As a member of the Homeland Security and Governmental Affairs Committee Senator Harris joined her colleagues in ensuring an oversight hearing on the U.S. Census Bureau’s management of the 2020 Census and the decision to add a citizenship question to the survey. 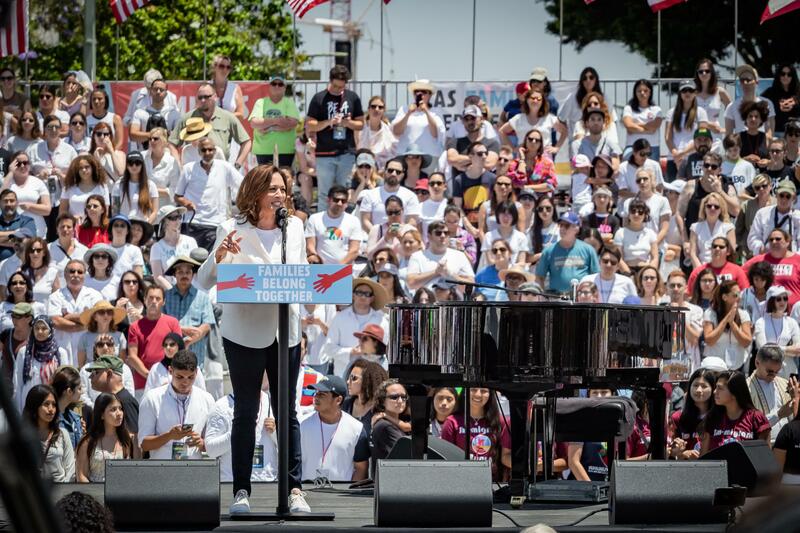 Additionally, she pressed the Acting Director of Immigration and Customs Enforcement (ICE), Ronald Vitiello, on the policies surrounding detained pregnant women at the border and allegations of abusive and threatening behavior filed against ICE agents. Lastly, the Senator also introduced the Families Not Facilities Act, the Reunite Every Unaccompanied Newborn Infant, Toddler and Other Children Expeditiously (REUNITE) Act, and the Detention Oversight Not Expansion (DONE) Act to improve the resettlement process for unaccompanied children, protect prospective sponsors, reunify all families, and increase oversight of Immigration and Customs Enforcement (ICE) detention centers. Government should be in the business of keeping families together, not tearing them apart. 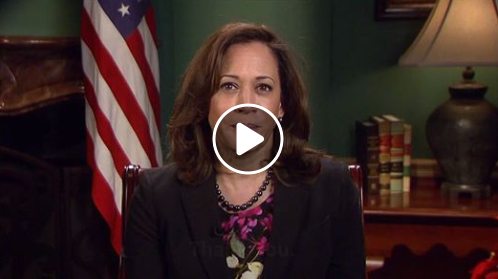 Watch Senator Harris discuss the importance of her public lands bills. In the midst of everything happening this year, Senator Harris has not overlooked the important work to protect our environment. Over the course of the year, the Senator has introduced a bill to strengthen California’s wilderness and signed into law a bill to expand John Muir National Historic Site in order to restore, enhance, and preserve California’s public lands. Additionally, the Senator led various resolutions to protect greenhouse gas emissions standards. As this Administration retreats, she will continue to work to support California’s efforts to lead the fight against global climate change. It is the right of all people to be able to breathe clean air and live in a safe and healthy environment. To keep up with everything the Senator is voting on, you can check out her voting record here. Below are a few spotlight bills Senator Harris introduced in 2018. You can also view the full list of sponsored or cosponsored legislation by clicking here. The Maternal Care Access and Reducing Emergencies (CARE) Act: Sponsored. Justice for Victims of Lynching Act of 2018: Sponsored and passed by the Senate. The Living Shorelines Act: Sponsored. Mental Health Telemedicine Expansion Act and the Mental Health Professionals Workforce Shortage Loan Repayment Act: Sponsored. Accountability in Opioid Advertising Act: Sponsored. Fairness for Farm Workers Act: Sponsored. Gay and Trans Panic Defense Prohibition Act of 2018: Sponsored. Wishing you a happy and safe new year! Wishing you and your loved ones a Happy New Year! May 2019 be filled with health and blessings for you and your family! Happy New Year to you and your loved ones! I know that many of us have been talking about the incredible challenges we overcame together in 2018, and the stunning victories that our hard work accomplished. There was a lot to be proud of last year – from the Blue Wave that decisively washed over California and helped us take over the House to the historic number of women and minorities that were elected nationwide. But New Years isn’t just about celebrating our progress in the past year – it’s about looking to the year ahead of us and asking ourselves a simple question: how can we do even better? – Hold Trump accountable. Now that Democrats control the House – thanks to the amazing effort of California Democrats to get out the vote in crucial Congressional districts – it’s more than just a wish to hold Trump accountable for his heinous acts of bigotry and corruption. Democrats in the House are already making moves to ensure that they get answers from this runaway administration. To help hold Trump accountable in 2019, can you call your Representative and ask them to support the efforts of House Democrats? – Help stop the assault on LGBTQ+ individuals, immigrants, people of color, and other minorities. Trump and his GOP colleagues have let hatred run rampant. Hate crimes against marginalized groups have increased drastically since 2016, and it’s up to us as California Democrats to use every bit of influence from our victories in last year’s election to protect the rights of groups that are under attack. To make sure we have the resources to check hatred at every turn, and put an end to violence and discrimination, could you pitch in $20.19? – Get involved. At the CDP, we believe that our country’s democratic process works best when people are engaged, understood, and fairly represented. Can we count on you to consider running for office or helping out on a campaign? To us at the CDP, it’s clear that the future is bright and – blue. We’re ecstatic to be going into 2019 with you. This is Norberto with the TJ Cox campaign. I want to make sure you’re up to speed about TJ’s upcoming FEC deadline at the end of the month. I can’t stress how important it is that we turn in a strong fundraising report. After such a tight race, we’re being watched closely. And when these numbers go public, we need the Republicans to see that TJ has overwhelming grassroots support — that’s where you come in. We’re aiming to bring in the highest possible number of individual contributions we can before the FEC deadline hits. Can you chip in a donation right away to send a message that grassroots Democrats are a force to be reckoned with? Any amount will go a long way. TJ didn’t run for office to stand on the sidelines in Washington. He’s going to be a fierce champion for our values. He’ll help ensure health care access for every American. TJ will stand up to the fossil fuels industry to protect our water and air. And he’ll fight back when middle-class families come under attack. Point is, TJ isn’t exactly a friend of the DC establishment — that’s why he’s depending on your grassroots support. Can you chip in a donation to stand with TJ Cox and show Republicans in Washington that they are no match for our grassroots team? Any amount helps. That was the margin of victory when TJ Cox was elected and flipped California’s 21st district for the first time in decades. Take it from us, Republicans are still FUMING that we flipped this longtime stronghold — they totally underestimated the strength of our grassroots movement. The end of this month marks TJ’s very first FEC fundraising deadline as an elected member. DC Republicans are going to be watching our fundraising report for any sign of weakness. For this deadline, we want to log as many individual contributions as we possibly can. It’s so important that we show the depth of our support and let the Republicans know TJ’s win wasn’t a fluke, but a result of your overwhelming grassroots support. Can you stand with TJ Cox and make a donation of any amount ahead of our FEC deadline? It doesn’t matter how much you give, only that you chip in to remind Republicans in DC that they’re no match for us. I hope you’re enjoying spending time with loved ones this holiday season. I was blessed to be back at home in California, spending some time with my family — which included making my mother’s tamales and chile relleno during Christmas and reflecting on the past year. I’ll be honest — 2018 was full of challenges. The Trump Administration doubled down on their attempts to gut our health care and slash taxes for corporations and the ultra-wealthy, all at the expense of working families. Our country bore witness to more than 300 mass shootings. Dr. Christine Blasey Ford’s brave testimony captured the nation’s attention and served as a solemn reminder that — despite the progress we’ve made — women in America are still not believed. 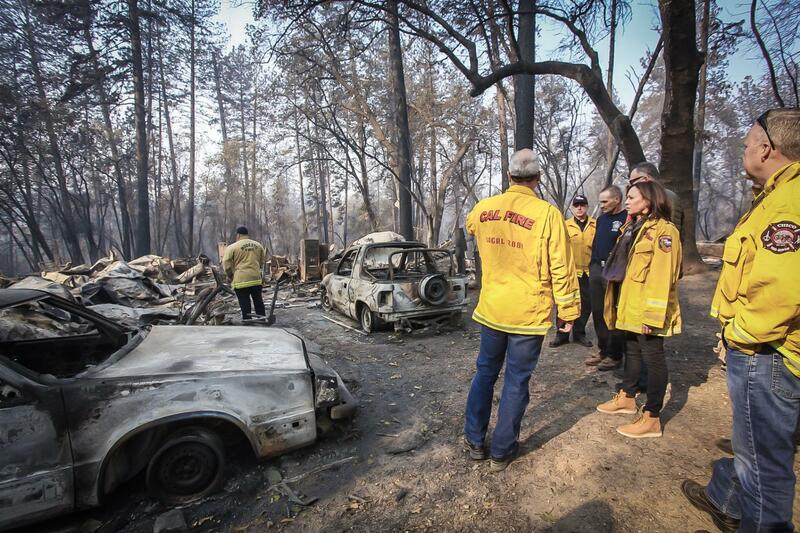 My home state was devastated by the Camp Fire, now the deadliest and most destructive fire in California history. Just this month, two young children died while in the custody of U.S. Customs and Border Protection. And in recent days, Donald Trump shut down the federal government because he wants American taxpayers to contribute $5 billion towards his border wall. That’s enough tough news to make anybody want to give up. But you refused to throw up your hands and give in to despair. Together, we rolled up our sleeves and fought hard for the very soul of our country — and, together, we achieved so much. In November, Democrats swept the midterm elections. We retook the House of Representatives, flipped six state legislatures and won several Governors’ seats. We also elected a record number of women — and women of color! — to fight for our values in Congress. And this grassroots team — including you — helped raise more than $9 million for candidates running across the country, including Kyrsten Sinema, Jacky Rosen, Tammy Baldwin, Sherrod Brown, Tina Smith, Debbie Stabenow, Maria Cantwell, Jahana Hayes, Stacey Abrams, Andrew Gillum, Beto O’Rourke and more. This is nothing short of incredible, and I am so proud of our team. In short, although 2018 was a difficult year for so many Americans, we have a lot to be hopeful for. Nothing has inspired me more than the activism and enthusiasm I’ve seen from people like you who have stepped up to fight for our values. You showed that, during some of the darkest times in our country’s recent history, there is still light. Let’s look forward, together, to the fights that lie ahead. We must continue to invest in coalition-building and defend our progressive values in the new year. Across all communities, we must stand together. We can leave no one to fight alone. May every single day of 2019 be filled with love, happiness, and joy for you and your family. 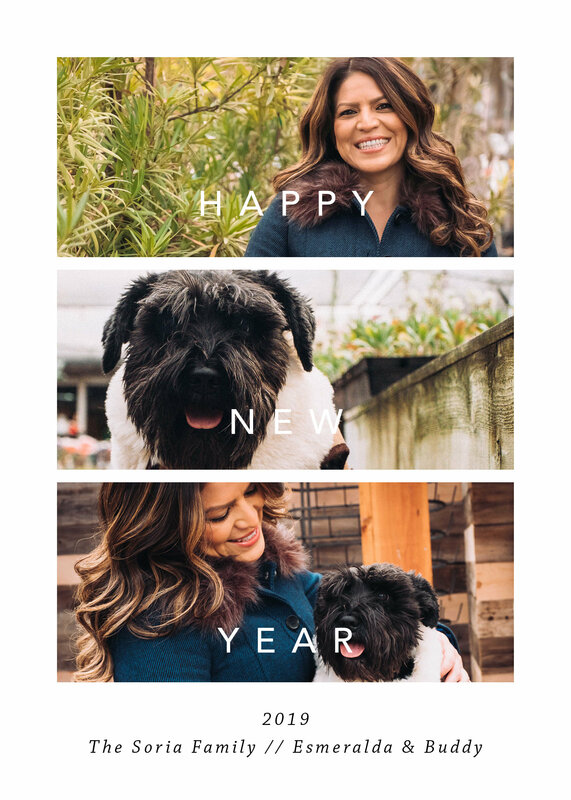 Wishing you and your loved ones a fabulous new year. 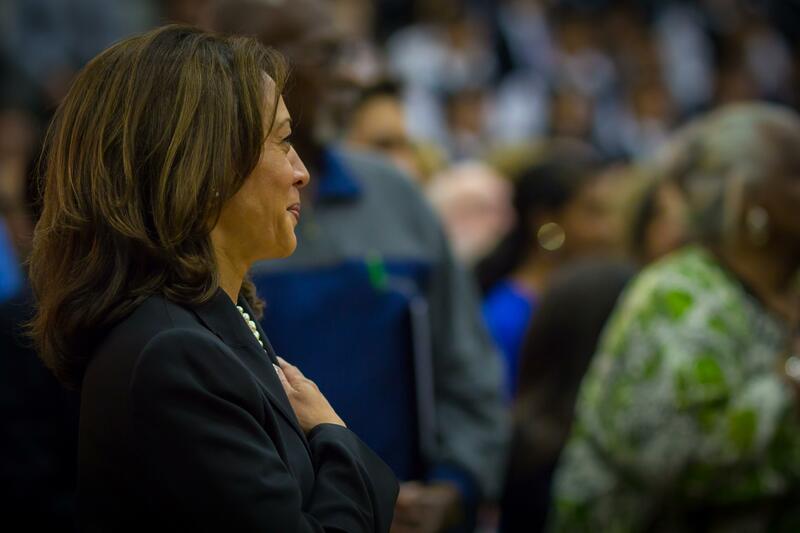 Senator Harris relies on grassroots contributions from supporters like you to power her campaign. Your contribution will allow her to focus on doing her job and help us build a coalition strong enough to challenge Trump’s radical agenda in Washington. Can you pitch in a contribution to help Kamala reach her end-of-year fundraising goals? You recieved this message because you are subscribed to Senator Kamala Harris’ mailing list. 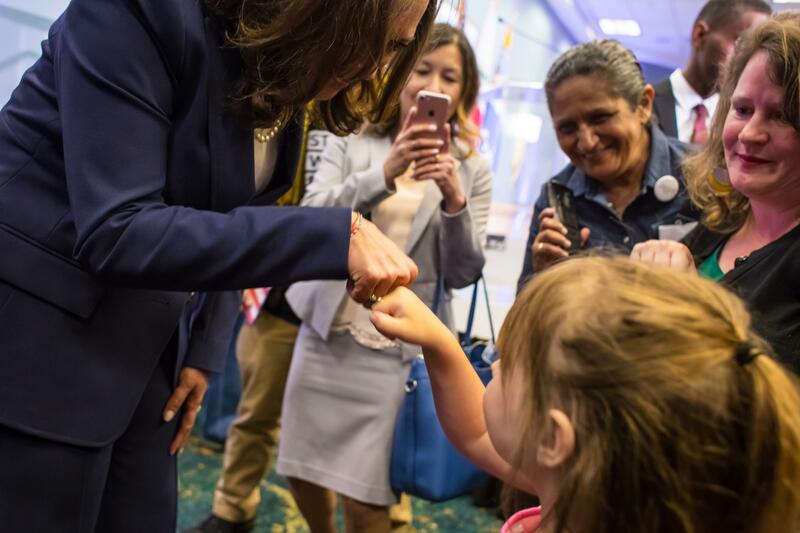 Join us today in fighting for justice, equality, and an economy that works for everyone by making a contribution to Kamala’s campaign here. The start of 2019 is just a few days away, and after important Democratic gains this year, you just know that Trump and Republican leaders can’t wait to ramp up their efforts to rig election maps and restrict voting rights to try to stay in power. Their desperate and undemocratic agenda is already impacting voters in states like Wisconsin and Michigan where Republican legislatures are ignoring the will of voters and stripping incoming Democrats of power. And in South Carolina, Republicans are planning to CANCEL their 2020 presidential primary to try to protect Trump from a challenger. The Republican assault on democracy is offensive, but it will not go unchallenged. We will continue to hold Trump and Republicans accountable, but we need your help to fight the Republican voter suppression agenda. That’s why we’re kicking off our 2019 Membership Drive early with a goal of 750 new members before the end of this year. If we reach our goal, we’ll be kicking off 2019 with momentum and the strength to challenge the GOP at every step and build winning campaigns for Democrats in 2019 and 2020. Activate your 2019 DASS Membership today by pitching in $5 or more before our end-of-year deadline and help us fight for voting rights! Activate your 2019 DASS Membership now and help fight back against Trump and the GOP! 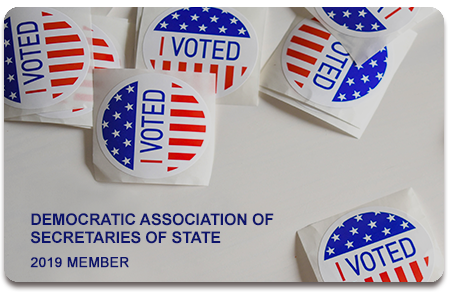 DASS is a national organization supporting the election of Democratic Secretaries of State, who are committed to protecting and preserving voting rights and ballot access for all Americans through fair, honest, open, and accurate elections. We count on the support from grassroots Democrats like you. Email is a crucial way to stay in touch and keep you informed. Help spread the word by forwarding this email to 3 friends! Click here to like us on Facebook and click here to follow us on Twitter. If you prefer to unsubscribe, please click the link at the end of this email. “It doesn’t seem like anything was actually agreed to at the dinner and White House officials are twisting themselves into pretzels to reconcile Trump’s tweets (which seem if not completely fabricated then grossly exaggerated) with reality,” or so declared Carl Qintanilla in JP Morgan Notes about the 90-day truce in the U.S.-China trade war Trump and Xi arranged over their dinner at the Buenos Aires G-20 Summit. Financial markets have issued a similar acid verdict on the President’s latest trade diplomacy, with the Dow plunging nearly 800 points, or 3.2%, two days after the deal was concluded. The Dow and the Nasdaq have since fluctuated wildly, and one major factor in this instability is market uncertainty regarding future developments in trade with China. Markets are right to be rattled. The episode in Buenos Aires provides yet more proof, as if it were needed, that when it comes to trade, Trump and his economic team are the gang that can’t shoot straight. This crew could not be in sync on even the basic matter of when the 90-day time line for China to make “structural changes” on intellectual property protections, forced technology transfer and other issues was to start. National Economic Council Director Lawrence Kudlow initially put that at Jan. 1, only to have the White House correct him shortly afterward to say that starting date was actually Dec. 1. The President engaged in his usual flair for exaggeration in describing his accomplishments in summit negotiations, claiming on Twitter that China had agreed to remove tariffs on American cars coming into China and immediately start buying large quantities of U.S. farm products. Kudlow quickly dialed back expectations regarding autos, telling reporters following the Trump-Xi meeting, “We don’t have a specific agreement on that,” apparently contradicting Trump’s tweet on this matter. He then airily declared, “But I will just tell you, as an involved participant, we expect those tariffs to go to zero,” even though auto tariffs were not mentioned in the U.S.-China statement issued after the Trump-Xi dinner meeting. As the old adage goes, “The fish rots from the head,” and this certainly applies to Trump administration trade diplomacy. Directing it is a President who wears his lack of basic literacy about international economic on his sleeve. In his latest Wall Street Journal interview on Nov. 26, Trump mixed up tariffs, which are a sales tax imposed on imported goods, with interest rates, which are the extra money individuals owe when taking out a loan. Trump repeated this claim, even after Wall Street Journal reporter Bob Davis noted the error. In the same interview, while discussing his steel tariffs, the President invoked phantom steel plants as he played up the steel and aluminum duties. And Trump keeps insisting that when the U.S. runs trade deficits with China, it is giving money to the Chinese, as opposed to purchasing and getting products, which in most cases would not make sense to produce domestically. Moreover, much of the money China obtains from running a trade surplus with the United States is recycled back to us in the form of lending to our government when China purchases T-bills and the like, thereby helping to finance American fiscal profligacy. For the latest round of trade negotiations with China, Trump has sidelined Treasury Secretary Steven Mnuchin, who no longer has much credibility in Beijing following his inability to keep the deal Vice Premier Liu He thought they struck back in May. Trade hardliner Robert Lighthizer will be leading the U.S. team instead. Surprisingly, some on the Chinese side seem happy with this choice, despite Lighthizer’s credentials as an incredibly competent trade hawk and negotiator. In taking on this chore, however, he has embarked on mission impossible. The basic problem is that China and the United States have different understandings of the Trump-Xi dinner deal. While the Trump administration foresees swift progress in lowering the China-U.S. bilateral trade deficit, Chinese state media vaguely talks about a “gradual” reduction. The same applies to White House claims that China will purchase “very substantial” quantities of American farm, energy and industrial exports. As was noted earlier, the President casually asserted that China was eliminating tariffs on imported American cars, even though nothing of the sort was said in the joint communique issued in Buenos Aires (under World Trade Organization [WTO] rules, if China did that, it would have to do the same for motor vehicles exported from other countries). In intellectual property (IP), the Trump administration believes that China will immediately negotiate forced technology transfer and strengthen IP protection. The Chinese have said the two countries will merely work together to reach a consensus on such matters, however. None of this bodes well for the success of the upcoming negotiations. In sum, the can has merely been kicked down road, with the Sino-American trade war likely to heat up again in 90 days. As with practically everything Trump has done with respect to policy-making, this is shaping up to be a first-class train wreck. Today is the last day to apply to be an ADEM Delegate and/or Executive Board Representative! The biennial meetings to elect Assembly District Delegates and Executive Board Representatives of the California Democratic Party will be held the weekends of Saturday, January 12 and Sunday, January 13, 2019; and Saturday, January 26 and Sunday, January 27, 2019. The deadline to apply for candidacy is today at 5pm. A person may run for ADEM Delegate and/or Executive Board Representative only if one is a registered Democrat and residing in the Assembly District of the ADEM on or before October 22, 2018. These Assembly District Election Meetings (ADEMs) will take place to elect 7 self-identified female delegates and 7 other than self-identified female delegates from each of the 80 Assembly Districts in the State of California. All California Democratic State Central Committee (DSCC) Delegates are expected to attend the California Democratic Party Conventions in 2019 and 2020. These Delegates will meet for the first time at the California Democratic Party State Convention to be held May 31 – June 2, 2019, in San Francisco. Click here for more information on the process of running for ADEM Delegate/Executive Board Representative, or to find the date, time, location, and a list of candidates for your district’s ADEM election. To find cost associated with becoming an ADEM Delegate, please visit our website for more info. For more commonly asked questions on the upcoming ADEM elections, please find our brief FAQ below. Who May Vote in ADEMs? A person may vote in the election if the person is a registered Democrat residing in the Assembly District of the ADEM as of the date of the ADEM. Same day voter registration is allowed for otherwise qualified citizens. Please visit our ADEM Tools and Resources page, found on our ADEM Homepage, for more information. Who May Run as an Assembly District Delegate/Executive Board Representative? Click here to apply and run for Assembly District Delegate and/or Executive Board Representative. The direct link to the application form is: https://fs3.formsite.com/CADEM2011/form237/index.html. An optional statement (2400 characters) and $30 filing fee is required at the time of application. If the Assembly District Delegate/Executive Board Representative candidate chooses to include a statement, the statement must be composed at the time of application submission. Candidate statements will not be accepted after the application is submitted. The deadline to complete the candidate application form is TODAY, December 27, 2018, at 5:00 PM – THERE ARE NO EXCEPTIONS TO THIS DEADLINE! Candidates should confirm receipt of filing prior to the deadline. If you do not receive an email confirmation, please contact Party Resources Manager Unique Wilson directly at (916) 503-7318 or Party Services Director Emma Harper at emma@cadem.org. The CDP will not be responsible for failed, delayed, unreadable, or corrupted filings, whether by hardcopy delivery or electronic filings, such as faxes or emails, or the editing of statements. A hard copy form is not available. However, Party staff is available to assist candidates with the online application process. Please contact Party Resources Manager Unique Wilson directly at (916) 503-7318 or Party Services Director Emma Harper at emma@cadem.org. Please click here for more information on the 2019 ADEM process. I should be surprised by this, but I’m not. It’s looking more and more likely that I’ll be inheriting a partially shutdown government when I’m sworn into Congress next week. That’s because President Trump sabotaged a bipartisan spending bill to get funding for his $5 billion border wall even though he knew it would never pass the Senate. It was a total political stunt. Now, thousands of federal employees could lose paychecks. Government services used by farmers and small businesses will be unavailable. And once again, the American people are left angry and disappointed in Washington. Can you add your name to my petition demanding an end to this reckless shutdown? It’s so important that we tell Trump and his allies that we will hold them accountable for putting politics ahead of country. This is the third shutdown since Trump took office. For Trump, forcing a shutdown is just another tool in his arsenal to get what he wants — it’s shameful behavior from a President who took an oath to defend our constitution. But this will happen again if we don’t stand together and say enough is enough: No more shutdowns. No more brinkmanship.